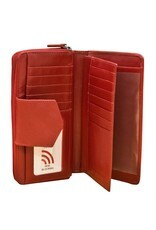 Double compartment leather checkbook wallet with RFID blocking lining. 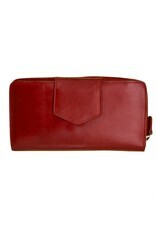 Exterior- back slide pocket. 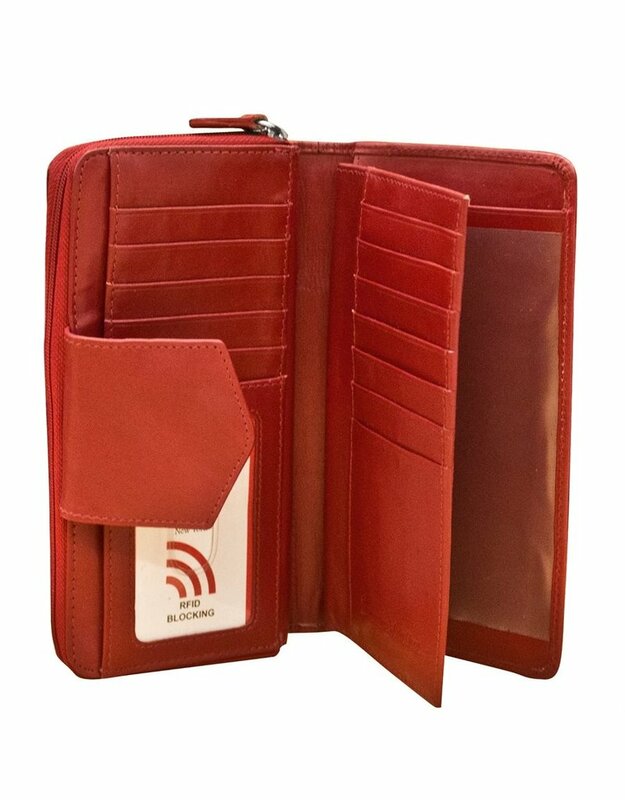 Interior - One compartment has snap closure with plastic divider for duplicate checks and two slide pockets, flap has two slide pockets and seven credit card slots, pen holder against back wall, and ID window, slide pocket, and five credit card slots on other side. 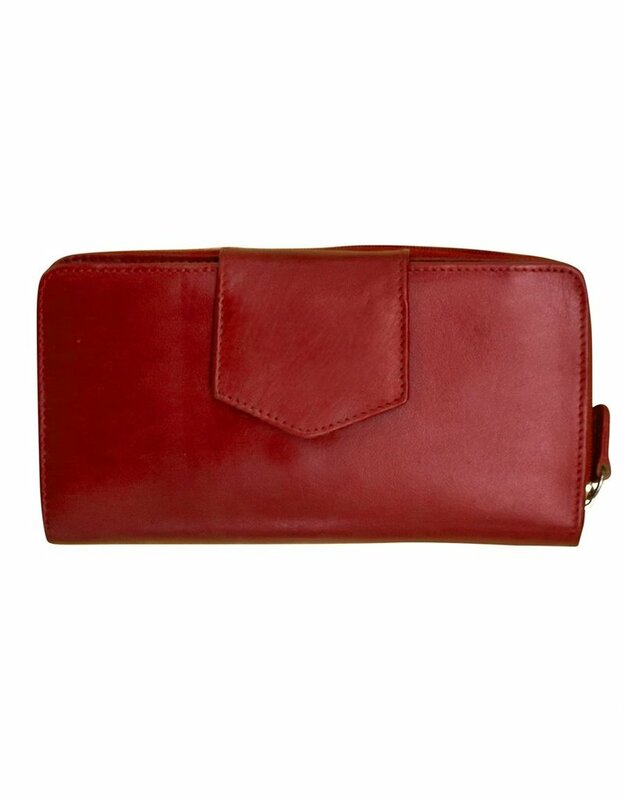 Second compartment is zip around with three slide pockets, middle zip compartment, and two credit card slots. Dimensions: 3.5 x 7 x 1.5 in.